This... stuff Oh. Okay. I see. You think this has nothing to do with you. You go to your closet and select... I don't know that lumpy blue sweater, for instance, because you're trying to tell the world that you take yourself too seriously to care about what you put on your back. But what you don't know is that that sweater is not just blue. It's not turquoise. It's not lapis. It's actually cerulean. And you're also blithely unaware of the fact that in 2002, Oscar de la Renta did a collection of cerulean gowns. And then I think it was Yves Saint Laurent, wasn't it,who showed cerulean military jackets? And then cerulean quickly showed up in the collections of eight different designers. And then it, uh, filtered down through the department stores and then trickled on down into some tragic Casual Corner and then trickled on down into some tragic Casual Corner where you, no doubt, fished it out of some clearance bin. However, that blue represents millions of dollars and countless jobs and it's sort of comical how you think that you've made a choice that exempts you from the fashion industry when, in fact you're wearing a sweater that was selected for you by the people in this room from a pile of stuff. Remember that lecture Miranda Priestly gave to Andy? That paragraph is in fact a simple illustration of how the fashion industry works. 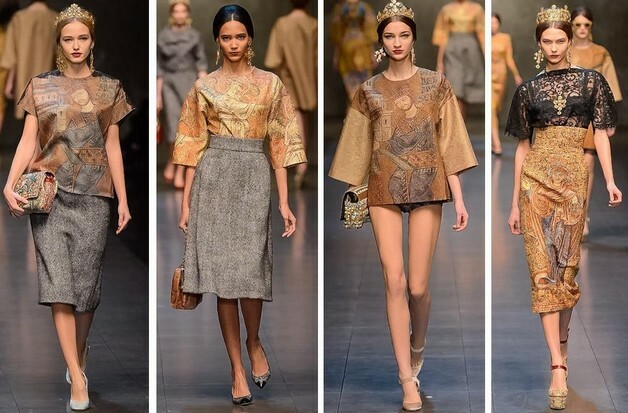 When I showed the Golce & Gabbana's Autumn/Winter 2013 ready-to-wear collection to my friend, their reaction was, "So nice, but where to find money to buy leh?" For commoners like me, we don't buy the clothes directly from what we see in the runway. We fish out the trending details and shop from high street stores. 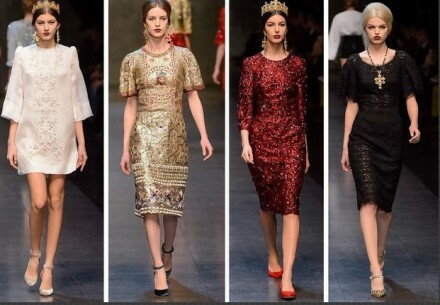 I must admit, my feet got completely swept away by the latest Dolce & Gabbana collection. 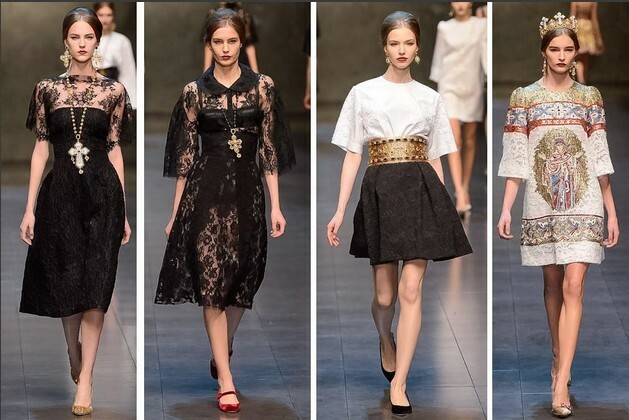 Of all the collections in this season, I love the Dolce & Gabbana one the most, and Alexander McQueen comes second . We've see enough of checks and houndstooth. 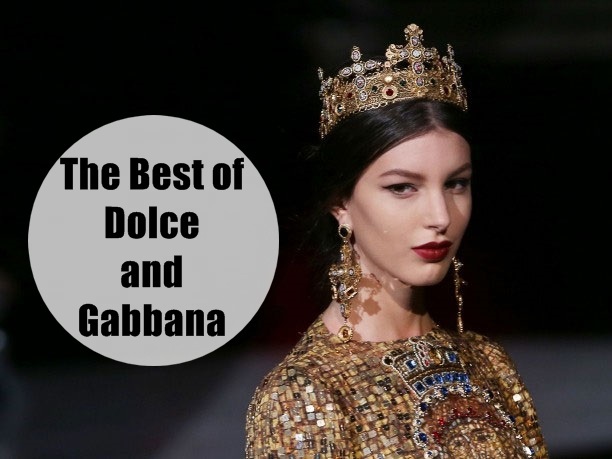 Dolce & Gabbana showed a breathe of fresh air. The collection is strongly influenced by Eastern Orthodox elements such as cathedral mosaic, meanwhile the style are very much Tudor. 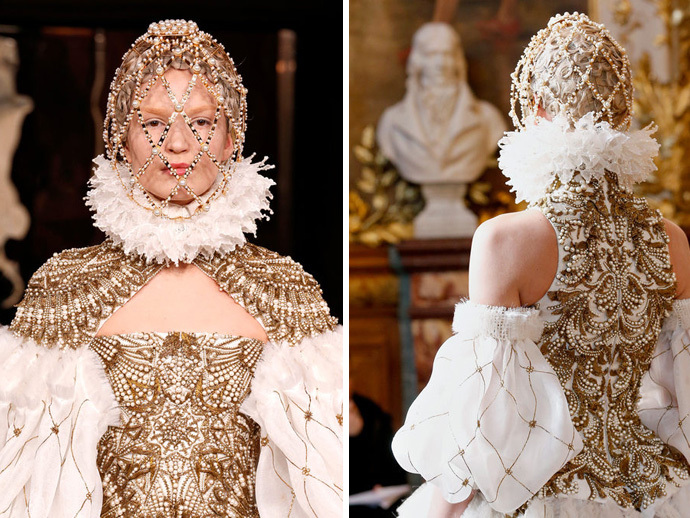 A similar trend is seen in Alexander McQueen's collection that is heavily influenced by elements of Catechism. When you're out shopping for new outfit, make sure you keep an eye wide for all these details. The orthodoxy trend is going to flood the street soon.